In an attempt to get back into cooking while I'm not working, I ordered a box of four Gousto recipes but, due to a bunch of 'real life' issues leaving me a little frazzled the week they arrived, my girlfriend ended up having to cook the first two. For the third, since she was headed out around the time we'd normally be eating dinner, necessity dictated that I get my act together and do some proper cooking. Now, the distinct lack of new posts on this blog over the last couple of years has been partly as a result of a distinct lack of cooking on my part. 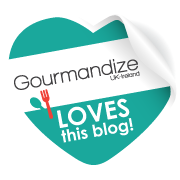 Lack of practice has left me feeling a little uncertain of myself in the kitchen - perhaps moreso than when I started this blog because, back then, I had the benefit of ignorance. Having done a fair bit of cooking back then, I learned a lot... and a lot of what I learned was how complicated some recipies are, even when they purport to be 'quick and simple'. Hell, when I left my job, one of my leaving gifts was Jamie Oliver's book '5 Ingredients'. Reading through this, it becomes quickly apparent that the five ingredients are normally supplemented by some sort of seasoning or oil that, in any other cookbook, would count as another ingredient. Sure, some can be considered kitchen staples, but I wouldn't think that red wine vinegar, for example, is quite as common as salt or pepper. Interestingly, while both Gousto and Hello Fresh seemed to be operating a subscription model when I first used them, Gousto now has an additional 'dipping in' option, whereby you can simply pick a number of recipes - four being considered optimal - which will be delivered, along with all the required ingredients (bar kitchen staples like salt, pepper, olive oil, etc. ), precisely measured and securely boxed. Courtney and I picked four recipes more on the basis of how delicious they looked than anything else, but we did also keep an eye on the preparation times, aiming to keep to about 30 minutes, since that often equated to more like 50 minutes when I was doing the cooking. By sheer coincidence, the first of the four recipes I cooked - since Courtney was working her usual hours today, with an appointment in the evening when we'd normally be having dinner - was centred on mushrooms, just like the first Gousto recipe I ever attempted. It didn't require any particularly fussy chopping, though it did require potatoes to be peeled, and it did require a couple of things to be on the go at the same time, with some fairly precise timing to get everything onto the plate while still warm. The design of Gousto's recipe cards has changed quite a bit since 2015, with clearer and more detailed nutritional information on the front, along with the inclusion of allergen information, with the trade-off being even smaller images of the individual ingredients. The steps in the recipe, on the back, are now vertically sequential, rather than horizontally, but they're just as clearly numbered as before. I've yet to encounter a recipe that goes beyond eight steps, but I think that's largely down to the creative way they define a 'step' in each process. It's perfectly acceptable to group tasks that need to be done around the same time, and using a specific group of ingredients, but some of these recipes do resort to starting a new step "Meanwhile..." so it's imperative that one read through the full guide and assess the tasks logically, rather than attempting to follow the steps on the fly, which is my usual, carefree method. For example, with this one, I prepared the chimichurri several hours ahead of everything else, and stashed it in the fridge till it was needed. I also peeled and chopped the spuds and garlic well ahead of starting the oven so, technically, I followed the recipe by starting at step 4-5, then skipping back to the middle of step 1, and only really started at the beginning of step 1 when it was time to heat up the oven. Considering how frazzled I've been of late, and how nervous I was of taking the reigns on an evening meal after relying on my girlfriend to prepare dinner for so long, this actually went really smoothly. It's certainly not the most complex recipe, but it does feature two "Meanwhile..." steps, and it's a little imprecise in some directions - "drizzle with olive oil", for example, is used for preparing the mushrooms on a baking tray and for preparing the potato/cannelli beans to be mashed. I suspect I should have 'drizzled' a little more olive oil into my mash but, to be honest, I'm more used to using butter and milk in mashed potato (when I'm not copping out and using instant mash, to the eternal horror of my girlfriend's family)... It ended up OK... not dry, but not properly creamy either. It's also tricky to judge seasoning, particularly when there's something like this chimichurri involved. I didn't want to add too much salt or pepper to the mash, even, but I could probably have added more than I did without any ill effects. Another thing I kind of take issue with on these new recipe cards is their wishy-washy guidance on the seasoning, mashing and dressing. The phrase "this is your x" comes up alarmingly often. I get what they're trying to say - that one should make it according to one's own preferences - but I tend to think it's better to follow a recipe precisely the first time, and make alterations the next time based on how it turned out. For example, I've never even heard of a 'chimichurri' before, let alone made one, so telling me to "Season generously with salt and pepper - this is your chimichurri" doesn't seem very helpful. I don't know what it's supposed to taste like, nor do I know what effect salt/pepper will actually have on the end result. Hopefully I'll be cooking the last of this batch over the weekend, and we have another box of four recipes arriving next week... Round two of my attempts at Gousto recipes is definitely off to a good start.